Winter is a great time for bird watching in many areas of Washington. 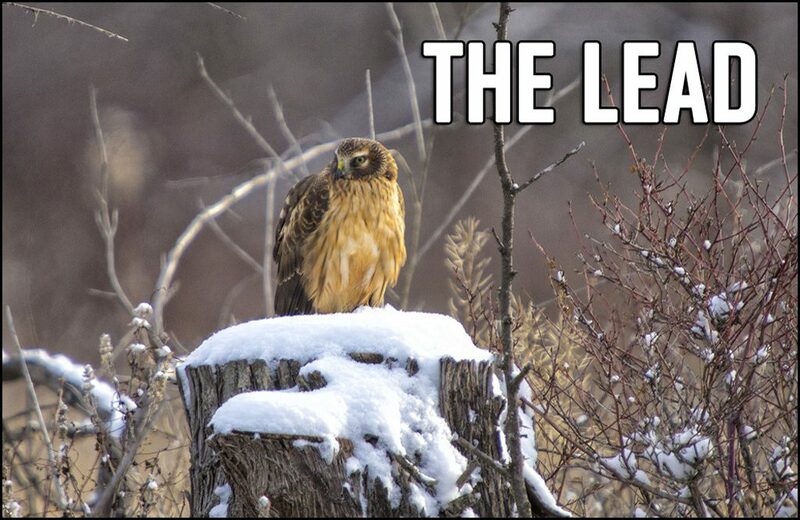 In Northcentral Washington, birds of prey like rough legged hawks, northern harriers, short-eared owls, kestrels, and northern shrikes show up easily against a background of snow and leafless trees. You can report your bird sightings during the Great Backyard Bird Count (GBBC) happening Feb. 15-18 this year. For more information on the GBCC go to gbbc.birdcount.org/. State health officials have identified the first person to contract measles in the latest outbreak as someone from outside the United States. That person then came into contact with a group of un-vaccinated children. There are now 50 cases of measles in Washington State, with 49 of those in Clark County. The US economy economy continues to dish out good news as the country added 304,000 new jobs last month, despite the longest government shutdown on record. It was a record 100-straight months of job growth for the US. It was the most workers hired in 11 months but the unemployment rate did uptick slightly to 4 percent but that could be the effect of the shutdown and traditional end of year/beginning of year trends. Click here for the full story. After reports of an active school shooter on campus, Central Washington University’s campus in Ellensburg was locked down on Wednesday for several hours as university police searched the school grounds. Nothing was found, no arrests were made and no shots had been fired. An active shooter had been reported at about 5:30 p.m. but campus was reported safe at about 7:15 p.m. on Wednesday. A bill that would make Washington the first state in the US to allow human composting passed the state Senate on Wednesday. According to supporters, human composting is more environmentally friendly than traditional burial methods. Human remains are reduced to organic matter for use in soil and break down over a few weeks. The remnants could then be scattered on conservation land. Click here for the full story. A white male stabbed a 70-year old woman in at north Spokane Albertsons on Wednesday night, just before 10 p.m., the Spokesman Review is reporting. The reason for the attack is unknown and police are looking for a white man between the ages of 45 and 60, 5′ 10″ with a medium build who drove away in a Subaru wagon. The woman is recovering in a local hospital with injuries not considered life threatening. Anyone with info on the stabbing can call Crime Check at 509-456-2233 and use the reference case number 2019-20023071. Enjoy the work of local artists in downtown Chewelah for the First Thursday Art Walk from 5:30-8 p.m. on Thursday, Feb. 7. This month’s featued artist is Matt Booth of Room 101. Booth is a jewelry designer, manufacturer, cigar afficiandao and recently launched his own brand of gin. He will give an Artists Talk at Quartzite Brewing on Wednesday, Jan. 9 from 6:30-8 p.m. Then on Thursday, the art of Ellen Breiter will be at Jean Beans, Katherine Cunningham and Michael McCunn will be at Gather, Danelle Fantasia’s art will be at Hello Gorgeous, Joanie Christian and Kris Mack will be featured at Wildflower and Greg and Dort Prichett will be featured at ChewVino. • FEBRUARY 7: Thursday Jam at Dan and Jo’s in Valley, 7 p.m.
• FEBRUARY 7: South Stevens County Chamber of Commerce Meeting at Springdale Fire Station, 11 a.m.
• FEBRUARY 7: Ladies Night at Brothers Bar in Springdale, 8 p.m.
• FEBRUARY 8: Karaoke at Brothers Bar in Springdale, 8 p.m.
• FEBRUARY 8: Karaoke at the Chewelah American Legion, 7 p.m.
• FEBRUARY 8: Tech Help at Chewelah Public Library, 2-4 p.m.
Stagetime Theatre School will be showing a video of their 2009 production of Seussical Jr. at the Chewelah Center for the Arts at 405 North 3rd St. East at 7 p.m. There is a $3 suggested donation and there will be $1 popcorn and $1 soda.